I hope you have all been enjoying the wonderful weather for the last few weeks. Sun-hats and sun-cream, in the bag!! And the little one who just won’t leave the sun-hat on. Summer holidays around the corner, and the changes that brings. Children moving onto ECCE and primary school and new starters hopefully to take their place. In early March, Bernie McNally, Department of Children & Youth Affairs (DCYA), addressed our AGM in Athlone and the Working Group’s Report was published by the Minister later that month. 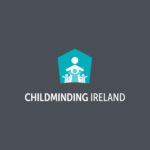 Childminding Ireland have been travelling round the country meeting childminders and will be feeding back our concerns to DCYA about possible changes to our sector in the future. 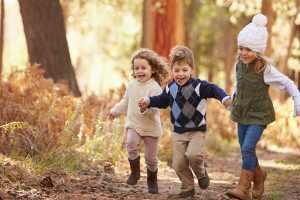 As we all know, childminding can be a very isolating profession. Our Facebook Members Forum is very active with members supporting each other on a daily basis. In January, we launched a new support service for our members. Our “Out Of Hours Support Line” operates every Wednesday and Thursday evening between 7.30 and 9.30 pm. 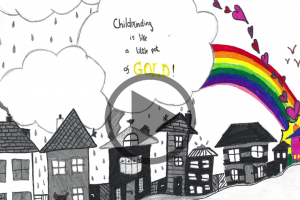 This is manned by a group of volunteer childminders who have been childminding for over ten years. It is an extra support for our members who may not be in a position to ring the office during the day or are faced with an issue that they might not want to discuss on our Facebook Forum. Sometimes, we have a problem that only someone else working in the sector can understand. Our volunteers have undergone training and we will be reviewing the first six months to see what we can do to further enhance the provision. It is completely confidential and is a listening ear for members. A reminder of the “Out Of Hours Support Line” number will be included in the weekly updates. I hope you all have a great summer and a nice break at some stage over the next two months.